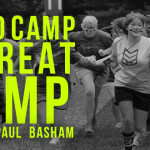 Something special takes place over the course of a week at camp when students are taken out of their normal habitat, along with the distractions, and placed into an environment that is clearly focused on Christ. I’ve often heard a week of camp described as a process of “starving the flesh and feeding the spirit” and many times it is just that. I’m so thankful for the fruit that the Lord has allowed me to see over the years as He works in the lives of students through the camp experience. There’s a problem with this though. For most, this experience happens completely separated from the rest of the family. Yes, there will be parents who volunteer and attend camp, but this extremely important spiritual experience most often happens in separation from parents. I think we would agree that parents are the primary spiritual influence for a student (for good or bad). So, for a camp experience to be effective at its highest level there must be some connection back to the family from what the students are experiencing at camp. Organize a prayer emphasis with the parents of your church. Get some kind of band or bracelet and write the names of the students who will be attending on them, then challenge the church family to each take a bracelet and pray for that student faithfully throughout the week. Get more parents involved in camp. Make sure that each year you are increasing the number of parents that you have plugged into the camp experience. It helps the connection with their student in a special way. It also increases their support of the student ministry as a whole. 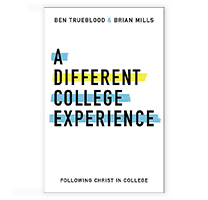 Parents being at camp and ministering alongside you for that week is often a moment that God uses to speak to them about serving in the student ministry in a greater way. 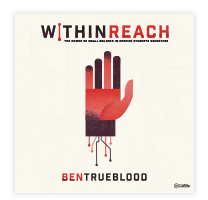 Give parents a copy of the Bible study material you will be working through at camp. This is a great opportunity for parents to pray specifically for students throughout the week, as well as open the door for conversation once they return. If you are technologically able, broadcast a worship service live the week you are gone. If you partner with another ministry (like Fuge or Student Life) find out if they offer a live broadcast of some kind that you can pass on to the parents in your church. Update your student ministry (or your personal) social media accounts, or keep a daily blog going with camp updates throughout the week. When you get back from camp have a celebration service with parents and students together. Use this time to baptize students who made decisions to follow Christ and to share testimonies of what God did over the course of the week. 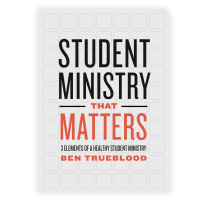 Make sure you give students a significant portion of the leadership in this service. Encourage your students to initiate a conversation with their parents about how God moved. Make the camp highlight video available online, or send a copy home with each student. Send a thank you note to the parents of students who attended to express your gratefulness in the priority they have placed on their student being at camp. It truly is an investment in the spiritual journey of their student and they need to know that. They also need to hear you say “thank you” when they follow through. Yes, these things take more work. I’ve been in your shoes preparing for and leading at camp and I know you aren’t exactly looking for other things to do in those moments. However, connecting the transformational experience that students have at camp with the leadership that the parents have in the home is essential to a truly effective camp experience.